The title of national special relic site was awarded to Ba Be Lake in the northern mountainous province of Bac Kan at a ceremony on December 29. National Assembly Chairman Nguyen Sinh Hung attended the ceremony. Addressing the event, he affirmed that the title will help the province make the most of its natural heritage to promote socio-economic development, culture and tourism. 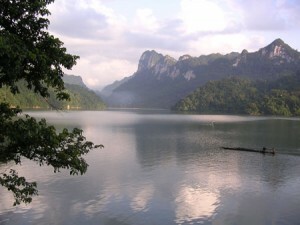 The lake covers an area of around 500 hectares and is located in the 10,000 hectare Ba Be National Park. It has been listed among 20 freshwater lakes in the world in need of protection. Its new status not only brings pride, but also challenges to the locality to maintain and promote the lake’s value that will encourage socio-economic and tourism development. At the event, a special arts programme was performed to showcase the cultural identities of the local mountainous ethnic groups.